Rep. Julie Parrish: Disconnecting Oregon from federal tax code will hurt many small businesses. The recent legislative session was a whirlwind, which included things like making minor changes to head concussion protocol laws, to profound strides in strengthening domestic violence laws. With only a few bills passing along party lines, 122 new laws made it to Gov Kate Brown's desk awaiting her signature. One measure, Senate Bill 1528, will have far-reaching negative implications for over 404,000 Oregonians without a veto from Gov. Brown. If passed, SB 1528 will make Oregon the only state in the nation to disconnect from the federal tax code. In District 37, over 10,000 small limited liability corporations, partnerships, S-corporations and Schedule-C tax filers who file their business income taxes as pass-through income on their 1040 forms will be impacted. Currently, Oregon's smallest businesses have an effective tax rate averaging 3.5 percent higher than the state's largest corporations. Under the new congressional tax plan, a tax deduction allowance was made, whereby a business in these specific tax categories can exempt 20 percent of their business income beginning in 2018. According to Oregon's Department of Revenue, there are 192,000 Schedule-C filers averaging just $23,300 in business income. This is the money they use to feed their families and pay their bills. Forty percent of the $258 million tax increase caused by the disconnect will be borne by these smallest Schedule-C businesses, whose average tax savings, if Gov. Brown vetoes SB 1528, will be $359 per filer. Comparatively, the Legislature allocated $100 million in new raises for state workers this biennium, an average of $2,000 in increased compensation per employee. Connecting to the federal tax code is a way to give small business owners a pay raise. Of the 110,000 Oregon businesses with employees, roughly 60,000 employs between one to four workers. This July, they'll be faced with a minimum wage that jumps from $11.25 to $12 per hour (in some parts of the state), and a new payroll tax on workers passed in the transportation package. That's on top of new health care sales taxes and a myriad of occupational fee increases passed by the Legislature. The nominal tax savings they'd receive by connecting to the federal tax code would be a lifeline to those small businesses in our community who are struggling with increased costs. But SB 1528 has another provision worth vetoing. The bill creates a tax credit giveaway for Oregon's highest-income earners to offset their income tax liability under the guise of funding Oregon Education Opportunity Grants. These credits can be sold at less than face value, costing Oregon's general fund millions in lost revenue. The average Oregonian won't even know how to participate in a tax credit auction, let alone have the disposable income to buy tax credits. Niche tax credits, when not broadly available to the public, have become a way to scam taxpayers. The Legislature could have simply increased funding to the Opportunity Grant program directly. Whether people agree with the premise behind the congressional tax cuts, Oregon businesses shouldn't bear the brunt of disconnecting from the federal tax code and having the bureaucratic burden of having to keep two sets of tax data. These businesses have seen their incomes stagnant due to increased mandates, higher business fees and new taxes. When people campaign on supporting small business, they should back it up with actions. Gov. Brown should join the four Democratic lawmakers who said "no" to SB 1528 and veto the bill by April 13. 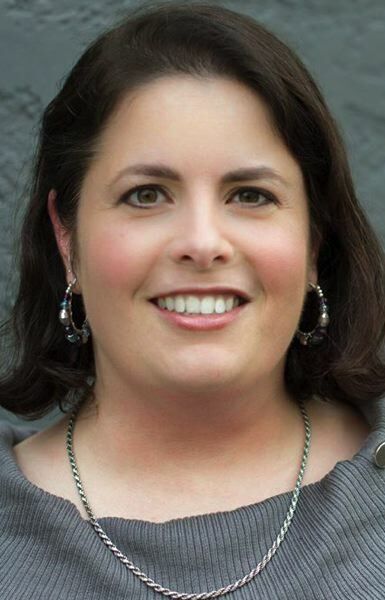 Rep. Julie Parrish serves District 37, which includes Tualatin.